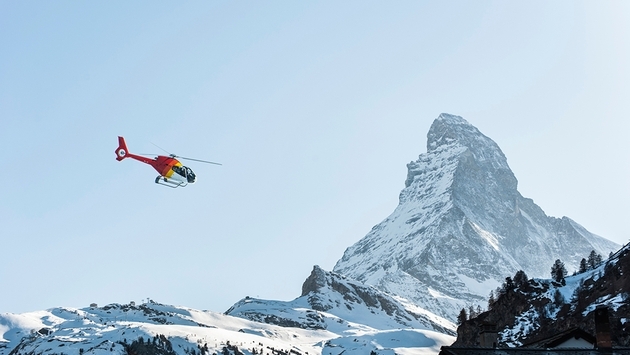 A helicopter ride over the Swiss Alps is just one of our bucket list of must-take flights. Dec. 17 is the 110th anniversary of the Wright Brothers' first flight and one thing hasn't changed all these years. Flying the friendly skies offers us a different perspective on the world and gives us a glimpse of how beautiful it can be. Sometimes we are so immersed in our jobs and responsibilities that we lose sight of what surrounds us. But what surrounds us is truly breathtaking, and one helicopter ride through a spectacular destination can change us forever. In honor of the Wright Brothers' first flight, here's a look at the most scenic flights in the world. New Zealand's geography is stunning. It has become a prime destination for travelers, boasting spectacular variety in its landscape, from the subtropical to the mountainous. Milford Sound Scenic Flights has received rave reviews for its fantastic flight from Queenstown to Milford Sound (or vice versa). Sights include: the great peaks and glaciers of Fiorland, the Tasman Sea, Mitre Peak, the Bowen and Stirling Falls, the famous Sutherland Falls and Fiordland National Park. Lush green trees and magnificent, snow-covered mountain tops await you. Anybody who has traveled through the Swiss Alps before knows that it is a sight to behold. Swiss Helicopter owns 40 helicopters at 14 different locations in Switzerland and Liechtenstein, offering passenger and VIP flights. The options are plentiful with the company, from the Eiger, Monch and Jungfrau—the world-famous alpine trio—to the monumental Eiger North Wall to the Rhine Gorge. It's also fascinating to see the small little villages and huts littered throughout the landscape, taking the city slickers to a world that doesn't even seem real. LAN Airlines offers a wealth of flying options and package deals in South America, whether you want to visit multiple countries or check out a particular region. "The Ultimate South America Tour"—in conjunction with Four Seasons Tours & Travel—is about $9,000 per person, but if you have the money it's worth it. It's an 18-day, 17-night voyage starting in Los Angeles and swinging through Bolivia, Argentina and Chile. Sights include: La Paz, Uyuni Salt Flats, Buenos Aires, Bariloche, El Chalten, Torres del Paine, Calafate and Ushuaia. The cheapest option is "Complete Lima," priced at about $1,000 per person and a round-trip fare from Miami to Lima, Peru. No matter which option you choose, the flights over South American are stunning. Boasting over 45 destinations and 100 charter locations, Kenmore Air has come a long way since it was founded in 1946, when it owned just one plane in a single hangar. Kenmore Air offers a two-hour, round-trip scenic flight tour which departs from Lake Union in Seattle and goes through the San Juan Islands. There are also stops offered along the way, from San Juan Island to Orcas Island to Lopez Island. Whether you are gazing at the skyscrapers in Seattle or the lush greenery and beautiful waters at the San Juan Islands, Kenmore Air gives you a great view of the Northwest. The Grand Canyon: It's awesome. Not sure if that's the official motto, but it should be. Papillon Grand Canyon Helicopters is the only helicopter company certified to fly both the South Rim and the West Rim of the Grand Canyon, and boasts three landing sites inside the Grand Canyon itself. Checking out the magnificent landmark, as well as the colorful rock formations and raging waters, gives a glimpse of how wondrous this world can be. The "North Canyon Tour" is one of the most popular flights, a 30-minute adventure through Central Grand Canyon and the North Rim. Sights include: Kaibab National Forest, the Colorado River, the Tower of Ra, Vishnu Schist and the Dragon Corridor (the widest and deepest section of the Grand Canyon). Want to see the Himalayas up close? No problem. Just fly Buddha Air. Whether you are flying from Kathmandu, Bhadrapur or Tumlingtar, you will be treated to sweeping views of Mount Everest, Mount Kanchanjunga, the city of Nepal, Makalu National Park and Makalu peak. Whenever you pass by an area that housed the temple of a Hindu goddess (Manakamana of Tumlingtar), you know you are in for something magical. Buddha Air is currently offering a wide variety of holiday packages, from a few days to a couple of weeks. Based in Western Norway, Fjord Helikopter offers spectacular views of famous fjords Geirangerfjord, Nordfjord, Sognefjord and Hardangerfjord, as well as the surrounding mountains, glaciers, valleys, lakes and waterfalls. On top of that, Norway is Northern Lights territory, which could make the journey even more dazzling. Featuring modern single engine turbine helicopters, Fjord Helikopter flights have room for four to seven passengers. You will also enjoy great comfort and amenities, from the insulated passenger cabins to provided headphones. Niagara Helicopters—established in 1961—presents sweeping views of the Niagara River, the Whirlpool Rapids, the Rainbow Bridge, Queen Victoria Park, the Skylon Tower and, of course, Niagara Falls. The company has received sterling reviews since its inception. While the flights are relatively short (about 15 minutes), there's a reason why customers keep coming back: the views are hard to ignore and they stick with you long after the flight itself. Niagara Helicopters also offers specialty flights centered around weddings, golf, fishing and wineries. An animated flight path can be found here. Want to see the Great Wall? Why not see it from above in a helicopter? Viator's walking and helicopter tour of the Great Wall in Beijing is eight hours total, including the 15-minute flight. On the ground, you can walk or take a cable car up the wall, check out the watchtowers and dine. After that, take off from the Badaling airport and explore the Great Wall, South Peak, North Peak and the ancient Beacon Tower from a new point of view. 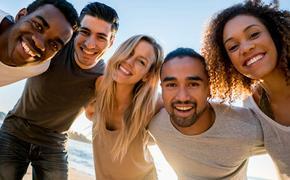 If you book now, Viator is offering saving of up to 45 percent off. Skydance should not only be noted for its breathtaking views of Phuket and the surrounding tropical area, but also for its prices. Those who have lived or traveled in Thailand know how inexpensive it can be. If you are looking for an affordable option, check out Skydance's Phuket Beach Helicopter Tour. The 10-minute ride features views of the grand Nai Yang and Nai Thon beaches, The Trisara exclusive reort and the world-renowned Blue Canyon Golf Course. You can get all of this for about $163 per person. For $663 per person, you get a 60-minute flight featuring the Chalong Temple, Millionaires' Mile, the Big Buddha and glorious Phang Nga Bay. Skydance claims to have the world's quietest helicopter with the EC-130. Bonus: Check out this award-winning short film from Heligraphix, featuring a remote-controlled helicopter that explores some of the most dynamic locations in the world.